HM Revenue & Customs (HMRC) is one of the UK’s largest digital businesses – with nine out of ten of our 2.3 billion annual transactions taking place online. Innovation is important to us too, and we take pride in creating the right communication and marketing solutions to drive the right response from citizens. In the case of our largest annual campaign, this involved a bit of a strategic gamble. While industry best practice suggests using positive insights to drive behaviour change, we decided to try something different. Whereas before we used the sense of relief that people feel on completing Self Assessment (SA), in 2018 we brought in a campaign entirely focused on a negative insight: the growing niggle that people told us they feel as the deadline approaches, and the task remains to be done. To do this we deployed a flock of rather handsome Aylesbury ducks, who quacked ‘tax’ at customers with increasing intensity as the deadline loomed. These ducks personify that negative ‘niggle’, and in an amiable but insistent way, are intended to tip customers into action. The gamble worked! 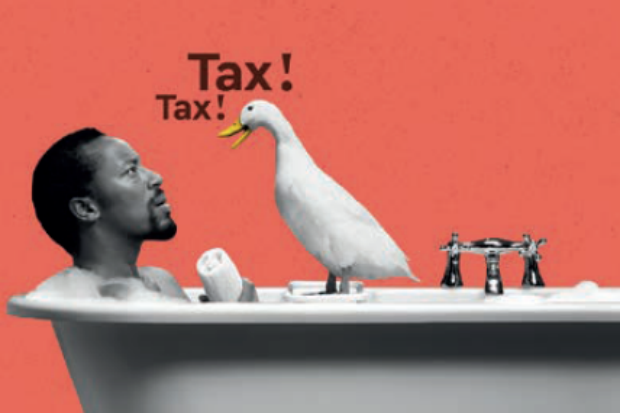 Developing a new creative approach, with our ‘don’t duck it, do it’ messaging, helped support our best outcome yet in terms of SA filing rates: 94% of our over 11 million SA customers completed their tax returns by the deadline, and 92.5% did so online. This led to £30 billion going towards public services – up £1.5 billion on the previous year. The campaign was also more cost-effective, with an 11% reduction in media spend compared to the previous year. For every £1 million spent, we achieved 69% advertising awareness, compared with 29% for our previous campaign. This approach marks a very deliberate move away from associating our organisation with an old-fashioned man from the 1950s – Hector, the tax inspector, with the bowler hat and pinstripe trousers. Ironically, Hector was introduced in 1995 as the marketing solution to encourage people to return their self-assessments, and to give a recognisable identity to the Inland Revenue (as it was then known). Ironic, because he came to personify the ‘tax man’ for a generation of taxpayers, an association that persists today, despite Hector having retired in 2001, and despite the diversity of our thriving, modern (and gender-balanced) workforce. So who is the real tax man? So while our ducks do the hard work in terms of bringing in the revenue from Self Assessment, who we are is still an important question to answer. As an organisation we are very clear about our purpose (our ‘why’), our strategic objectives (our ‘what’), and our values (our ‘who’). What we have developed recently is a way to also define our ‘how’: the golden thread that links all of our work, right across the department. It speaks to our employees, our customers, and to our role within society, and that is: ‘getting tax right, for everyone’. We know that for some people we can still seem impersonal and faceless – and therefore a bit threatening. What we deal with is of paramount importance to the millions of individuals, families and businesses who come into contact with us, so it’s no wonder there can be an emotive response to people’s relationship with HMRC. And while we want our services to be as accessible as possible, and in the main delivered digitally in future, we also want to make sure that the driving principle behind our customer strategies is to be effective, even-handed and helpful. Our public services rely on everyone paying the tax they owe. In 2017/18 we collected £605.8 billion, a 5.4% increase on the previous year, from around 45 million individuals and 5 million businesses. At the moment, the UK has one of the lowest levels of uncollected tax in the world – just 5.7% – which we’ve achieved while undertaking one of the biggest transformation programmes in Europe. Our digital transformation has played a large part in this. But as the world around us also changes, continuing to reduce that tax gap (the difference between the amount of tax that should be paid to HMRC, and what is actually paid) is an ongoing challenge. The rise of the ‘gig economy’, for instance, has led to people working in new ways – multiple jobs, higher turnover of employment, and more changes of circumstance – all of which can affect individuals’ tax codes, and increases the potential for error to creep in. So how are we rising to this challenge? The answer lies in better use of data, improved processes and products, and in increased accessibility for customers through our online services. All of which underpins that golden thread of ‘getting tax right, for everyone’. We want customers’ experience to be effortless for the majority, and straightforward for the small and medium-sized business community. We want customers to remain at the heart of the way we plan and design our services, and for ‘value’ to mean what benefits both the customer and HMRC. Our 2017/18 SA campaign saw the culmination of three years of behavioural trials to establish the most effective frequency and timing for sending reminder texts and emails to customers. Targeting customers who, based on our data, were most likely to miss the deadline, we sent more than 6 million texts and emails, with each customer receiving the optimum number of reminders based on previous trials. We also tested the timing of the messages, with some customers receiving two reminders in December, while the others received all four in January. Compared with our previous three years of trials, we found that sending two early reminders cut the probability of late filing by up to 20% for some specific customer groups. Other approaches we use more generally range from ‘nudge letters’, where we prompt customers to check the tax information they’ve given and if necessary correct it, to online toolkits, webinars and educational workshops for specific customer groups and agents. In particular, our tailor-made YouTube ‘how to’ support films were watched more than ever before because we embedded them in the online return process. Putting our customers at the centre of what we do is of vital importance. We now have two customer labs, where we bring customers into HMRC so we can hear about their experiences first-hand and involve them in the design of new services. Located in Shipley, Yorkshire, and London’s Canary Wharf, these labs are all about innovation and among the first of their kind in government. Focusing initially on better understanding the big life or business events that cause customers to contact us, the lab teams have already delivered insights on young people moving into work, as well as individuals claiming a pension for the first time. The labs also looked at all of the steps that tax credits customers went through in making their annual renewal (their customer journey). It showed that more than 140,000 calls came from people who – understandably – just wanted reassurance that everything was fine. So we sent out 22,000 personalised text messages last summer – with nine out of ten recipients telling us it gave them what they needed, so they wouldn’t need to call. This work led to the ‘Track My Payment’ part of our HMRC mobile app, which aims to reduce the more than half a million calls we get each year from people wanting to know how much they’re going to get and when. The HMRC app, which is free to download, also enables customers to see their tax liabilities, track the progress of forms and letters and check other details. Once a customer has completed the registration progress, they can sign in using a PIN, fingerprint authentication or facial recognition. The popularity of the app is backed up by figures, which show that 20% of users access it more than 20 times a month, compared with 2% of website users. Many of our customers are self-employed and may use an accountant or agent to manage their tax affairs for them, so we’re making it even simpler for them to submit their tax return via third-party apps. Of the 9.9 million SA tax returns filed online in 2017/18, around 60% were via third-party apps. New application programming interfaces (APIs) enable these users to access data HMRC already holds about them. And they enable us to send back a calculation, so that we can collect the right amount of tax at the right time. During a recent pilot, agents using third-party apps reported 15% less need to contact their clients and 19% less need to contact HMRC. These are just some of the ways that we’re rethinking tax collection, in order to invest in the UK’s public services and support a strong economy. As we bid Hector a (fairly) fond farewell, we move into a new era of digital delivery, behavioural science, data, insight and operational excellence – all designed around the needs of our customers, and led by a diverse and talented workforce. And this is what we mean by getting tax right, for everyone. Our annual Self Assessment (SA) campaign aims to help customers across the UK file their tax returns by the 31 January deadline and pay what they owe. This supports HMRC’s strategic objective to maximise the collection of revenues due, and bear down on avoidance and evasion. Our audience is just over 11 million SA customers, from all walks of life, including landlords, construction workers and pensioners. Our campaign specifically targets those who don’t use an agent or accountant to handle their tax affairs. Data-driven audience insights collected over the past 10 years and ongoing test and learn activity told us barriers to meeting the deadline range from procrastination to confusion about the filing process. feeling they get from putting it off. So we created a bold, new campaign around the simple message: ‘Don’t duck it, do it’, with our Aylesbury ducks quacking ‘tax’ to encourage customers to take action. The number and noise of the ducks increased as the deadline approached, through carefully timed and targeted prompt messages for maximum impact. Our total marketing campaign budget of £1.2 million, with a media spend of £855,000, was 11% lower than the previous year. We used an integrated channel mix covering traditional and social media; direct mail, including letters, emails and SMS; stakeholder and employer relations; and advertising, including posters, radio, digital, Facebook and paid-for search. All channels directed the customer to take action and complete their SA return by 31 January. We achieved our best-ever filing rate – 94% of our SA customers filed their tax return by the deadline. For every £1 million spent on our ducks campaign, we achieved 69% advertising awareness – compared with 29% for our previous campaign. Our innovative approach was, therefore, significantly more cost-effective. 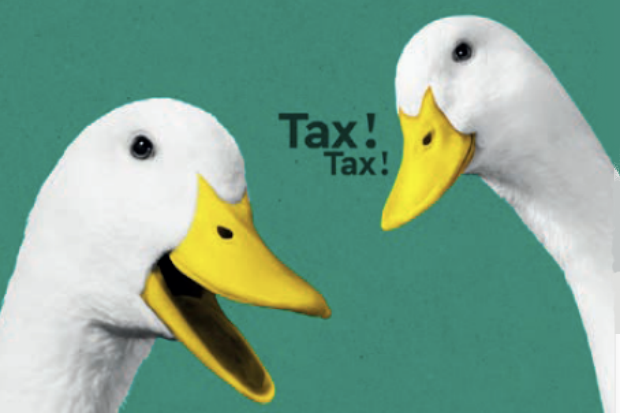 I really like the art work used in the ‘don’t duck it’ campaign. Who was the artist and are the posters available to buy? This is really interesting. It makes me think... is there a variant of this that could be used to help/ encourage/ inform people about paying their High Income Child Benefit Charge? Something I know is a common area of confusion (about the process) and lack of action. (I'm imagining the ducks with their ducklings). There are only a couple of "Do Your Self Assessment" campaigns that stick in my mind. 1) The "tax needn't be taxing" one with the eccentric TV science bloke Hart-Davis - that was irritating because, well, "YES, IT IS TAXING. Go away and take your trampoline with you". 2) Mrs Doyle from Father Ted - "Go on!Go on!Go on!GO ON!" - yup, that summed up my experience of locating the P11D that I put "somewhere safe" 10 months ago , and trying to fathom the various UTRs, IDs, codes etc necessary to login - and it was quite funny too. This year I didn't see the TV ads or newspaper ads- I'm all web and streaming BUT the emails and texts were good reminders. Will this message be shared with the media, especially local radio and press, and with banks and building societies? I ask this, because of the persistence with which these organisations still associate us with the "Hector" image and their "Keep your well earned savings from the Taxman!" advertising. For several years, in the lead up to 5 April, a local building society would produce an advertising display, showing a larger than life "Tax Inspector" with cloak and "Count Dracula" orthodontics. This was combined with the tag line, "Don't let his get his teeth into your savings!" Without disclosing my employment, I complained to the office manager about this totally unjustified imagery they were portraying. I explained that the majority of "taxmen" were taxwomen; they would dress much more casually than portrayed, and even the men would not be seen dead in a bowler hat and pin-striped trousers. I added that tax does not go to "the Taxman", it goes toward paying for hospitals, schools, police , roads railways and defence. PLEASE share this information on all social media platforms so that we can educate people on what a reliable7 good Civil Service we have. 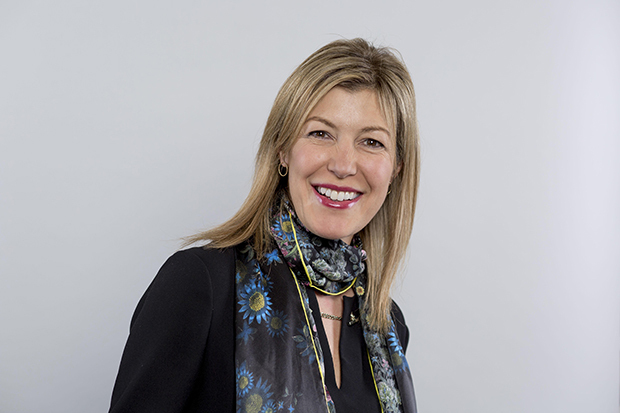 Really interesting article, clearly outlined how research into customer behaviours and our digital transformation can lead to such positive results, well done to all involved.